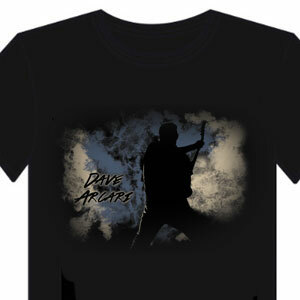 BLACK cotton zip-up hoodie with pockets. 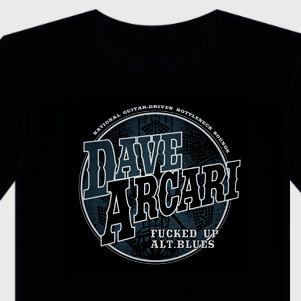 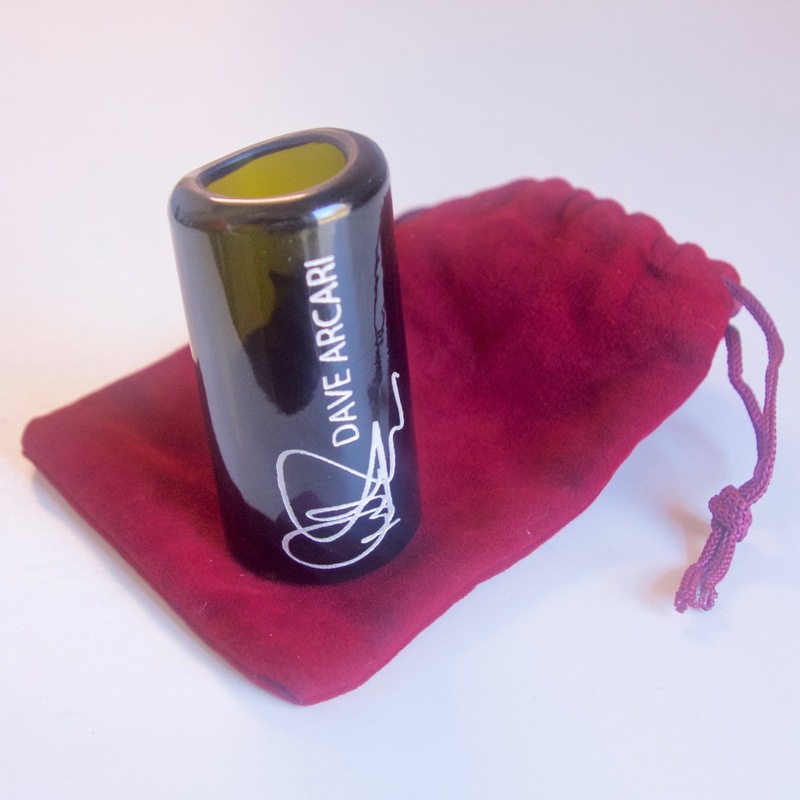 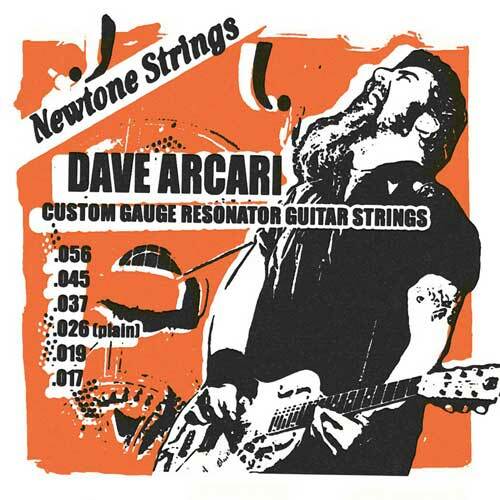 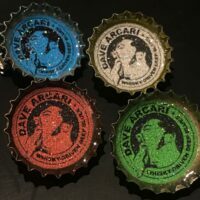 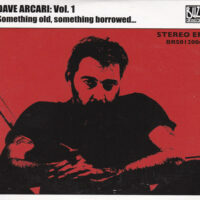 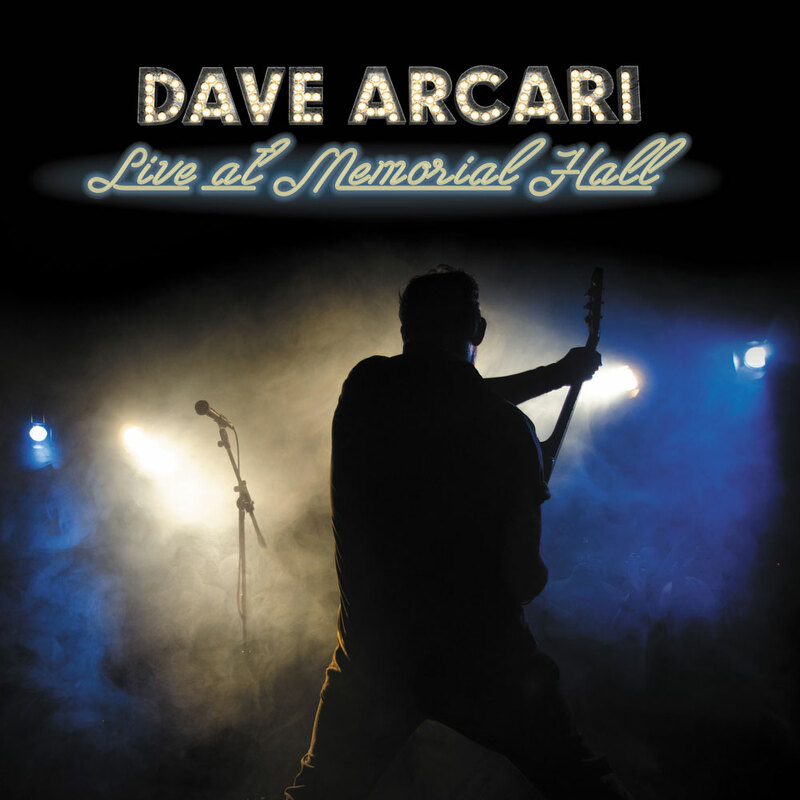 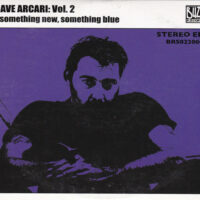 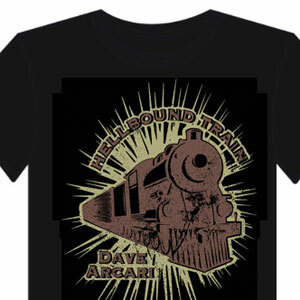 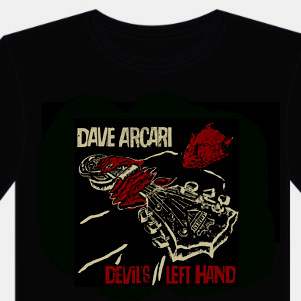 “Live” print on back and Dave Arcari logo on front left. 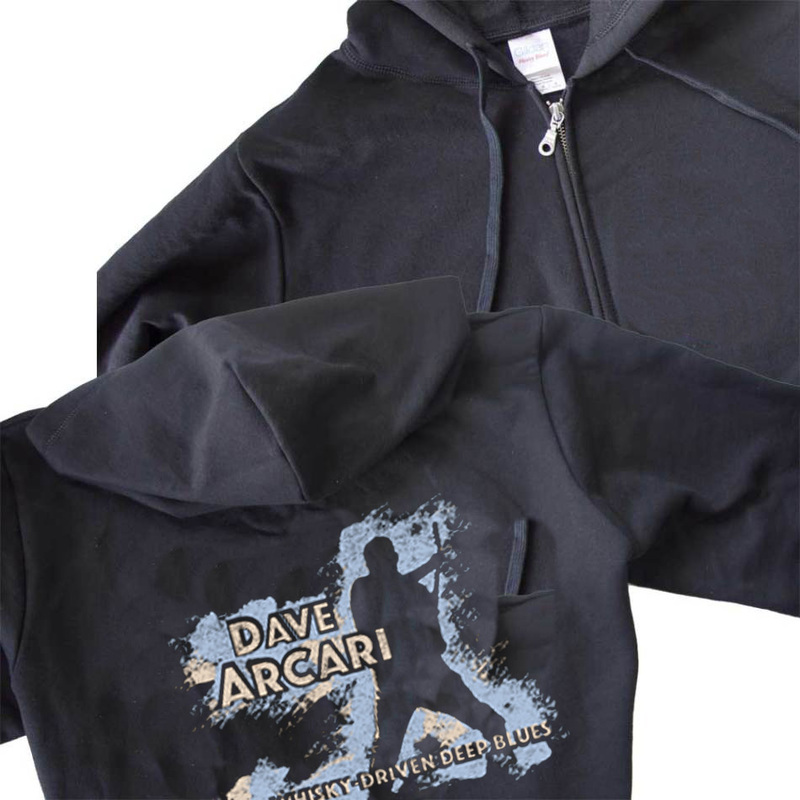 BLACK cotton zip-up hoodie with pockets. 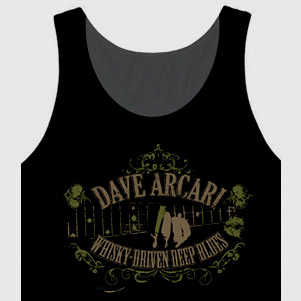 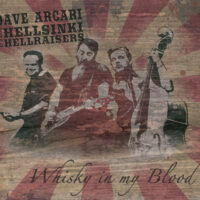 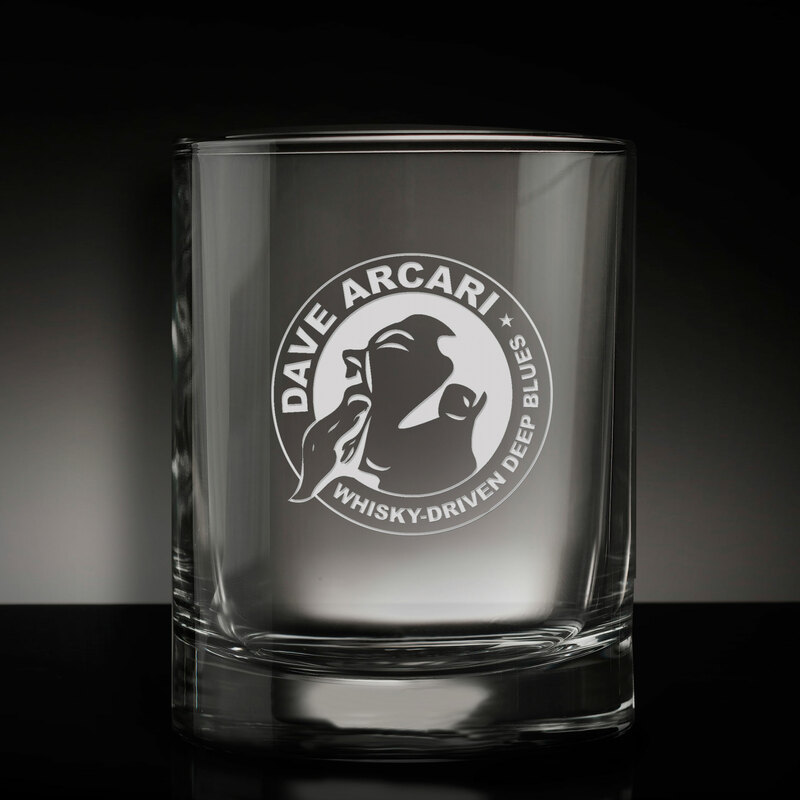 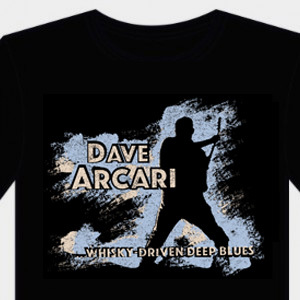 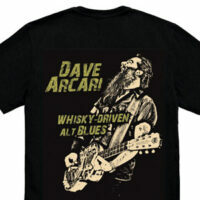 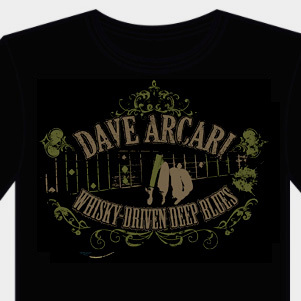 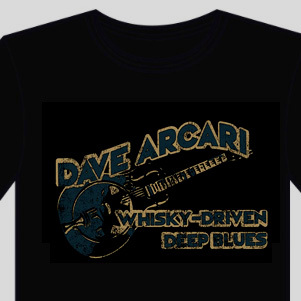 “Whisky-driven deep blues” print on back.